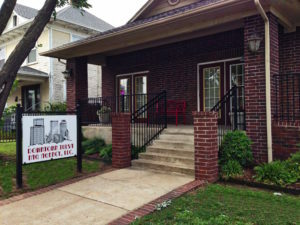 DOWNTOWN TULSA TAG AGENCY (DTTA) is conveniently located just south of downtown Tulsa, offering easy access to business professionals or those visiting our downtown area. DTTA is not your average tag agency. We offer a charming decor and a dedicated staff to help you with all your tag, title, id, passport photo, & driver’s license needs. Stop by today or call (918) 582-8247 for more info. Tulsa’s Downtown Tag Agency is proud to have been recognized by these organizations. We aspire to continue our tradition of putting our customers first, making customer service our priority!